Who is in your space at State of the Map? There is a great program of talks and workshops for this year’s State of the Map, but as people gather from around the world we want to make the most of this in-person time together. On all three days of the conference we’ll have some rooms available for a more informal schedule. What area of OpenStreetMap are you involved in, and do you want to discuss specific subjects with like-minded people? The engineering group, mappers that cycle, those wanting to increase diversity and representation,… we’ve had some great sessions before. 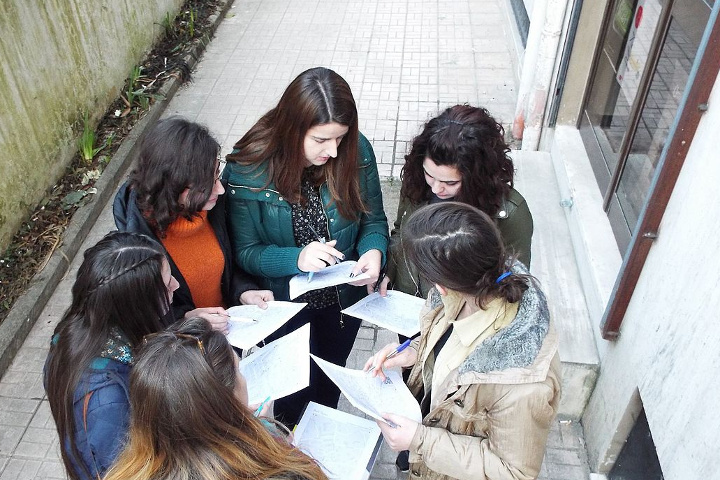 Edit the OSM wiki page to suggest a group or a topic, so others can get interested in joining you. During the conference, confirm your session with the event team for its time slot to be decided. After an inspiring talk or during the lunch breaks you might find yourself deep in conversation with fellow delegates and want to carry on the discussion away from the noise of our foyer area. There will be a room known as “Free and Open Space” that can’t be booked. This might also be a place where small groups would want to work together, coding a new feature of OpenStreetMap software or collaborating on documentation and guides. Turn up when you want to use it, find some chairs, and chat away. Check out the program for this year’s selection of talks. Perhaps something new has happened since the deadline for proposing talks, perhaps you didn’t have the idea quite worked out. On Friday and Sunday we will try to make some extra slots available for lightning talks. These are quick five-minute talks that don’t need to have slides. If you’ve got something to share in this manner, please add it to the OSM wiki page so that we are aware of how much time we would need to make available. This entry was posted in State of the Map on July 17, 2017 by Benoît Fournier. 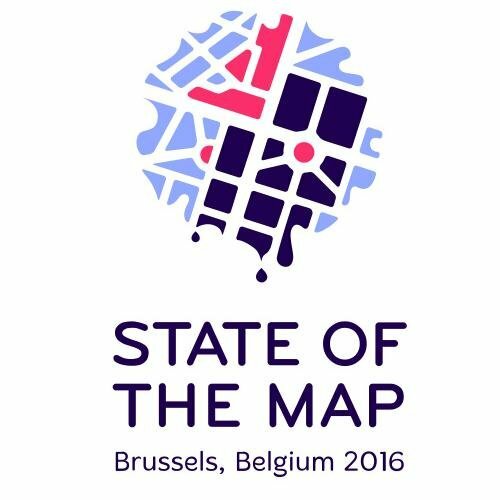 Thank you everyone for submitting session proposals for State of the Map 2017 conference. We have a great line up of sessions this year, it is time to share your views and help shape the State of the Map 2017 program. Please participate in our OpenStreetMap community survey. It’s open to all, whether you are planning a trip to Japan for the conference, attending virtually on the live streams, or just enjoying our session videos afterwards. You can provide us with your OSM username to help us with spam detection (we won’t share your username with anyone). You’ll then get a huge page of talks to rate, sorted at random. Feel free to rate as many as you like. Just don’t leave the page open for too long, as your session might time out. When you’re tired of it, just scroll down, hit Next until you can Submit your answers. 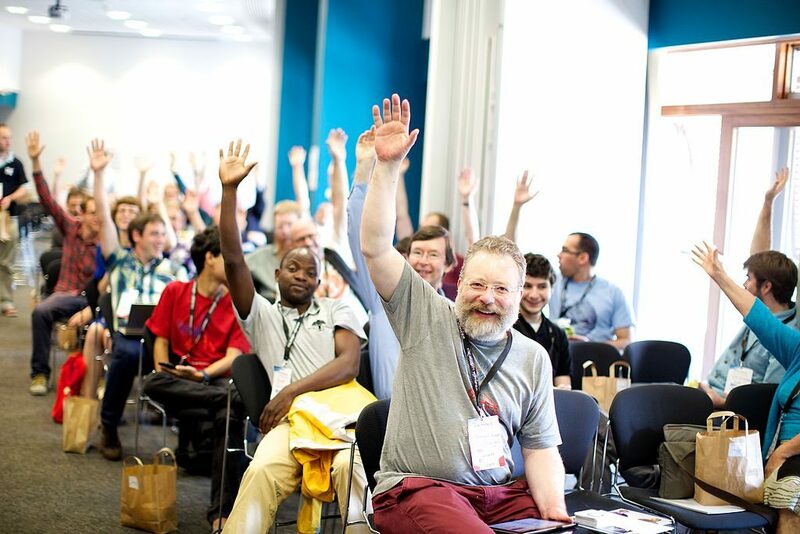 You matter in the creation of OpenStreetMap and we want your voice to be heard in the creation of its conference. The survey is only open until 23rd April 2017, so go to the survey now! The open source survey tool is kindly hosted by Made4it (http://www.made4it.be/), a Belgian data analysis and market research company. This entry was posted in SotM-ru, State of the Map on April 11, 2017 by Benoît Fournier. A hackday at State of the Map is a great opportunity to start working on those awesome projects that seemed unimaginable just a few days before, or to continue something already under way. Join us and get hands on with code, documentation sprints and mapping activities. What you work on is up to you! As usual the hackday will be after the main conference, Monday the 26th of September. This year we are lucky to have found a space donated by Brussels Environment. We can use the BEL conference center with room for about 100 people right in the city center of Brussels. We will need the space because we are joining forces with OSGeo Belgium who have their FOSS4G Belgium conference the day before SOTM. We ask you kindly to subscribe here and indicate if you want to order food. Make sure you order if you want to eat at the venue because you are not allowed to bring in outside food. We are still looking for a sponsor – but failing that, we will ask for a contribution of 6€ on the day. All further practical details can be found on the event page. Hope to see you all there! This entry was posted in State of the Map on August 10, 2016 by Benoît Fournier. Thanks to the support of our amazing sponsors we have kept the Early Bird tickets for State of the Map available for as long as possible. With less than 8 weeks to go until we gather in Brussels the Early Bird offer will soon come to an end. You have until 7th August to grab your price savvy tickets now before normal prices kick in. Don’t forget your accommodation though! The number of rooms available in our hotel deal drops by half when Early Bird closes so book your room before it’s too late. This entry was posted in State of the Map on July 27, 2016 by Benoît Fournier.